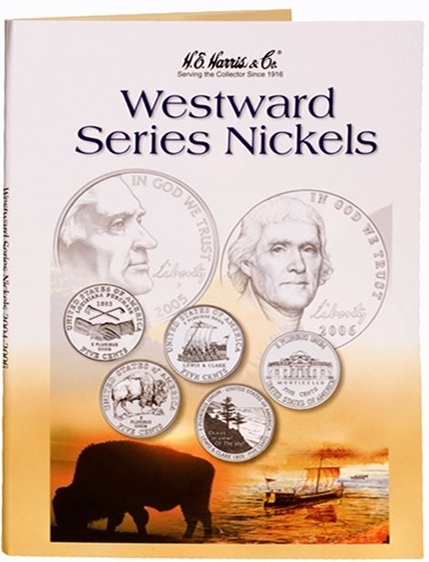 Great way to store and display your Commemorative Westward Series Jefferson Nickels! 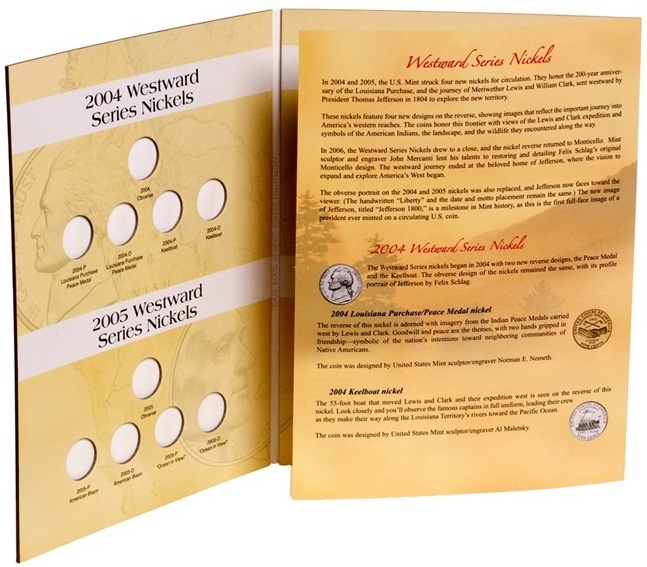 This beautiful bi-fold folder makes the perfect tool for organizing the Lewis & Clark and the Westward Journey Series Jefferson nickels. 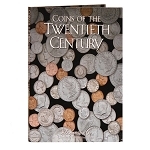 Holds the obverse and reverse of all 2004 through 2006 coins from both the Philadelphia and Denver Mints. 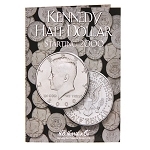 In addition, detailed historical information is attached. 21 openings. Actual size of folder - H 9 1/2" x W 7 "